From Hollywood to low earth orbit, Mars is a major source of speculation for space travel. Everyone from misguided reality TV-star wannabes to Elon Musk wants to have a part in pioneering the red planet. Now, Russia has thrown down a space-gauntlet of their own, and recently announced that they are training monkeys for a mission to Mars. The concept of sending test monkeys offplanet isn't a new one. Ham, an American astro-chimp, led the way for NASA astronaut Alan Shepard to go into space. The Russians have also previously used astro-critters for tests, including Laika, a cosmos-captivated canine who was the first living creature to orbit Earth (well, that we know of.) 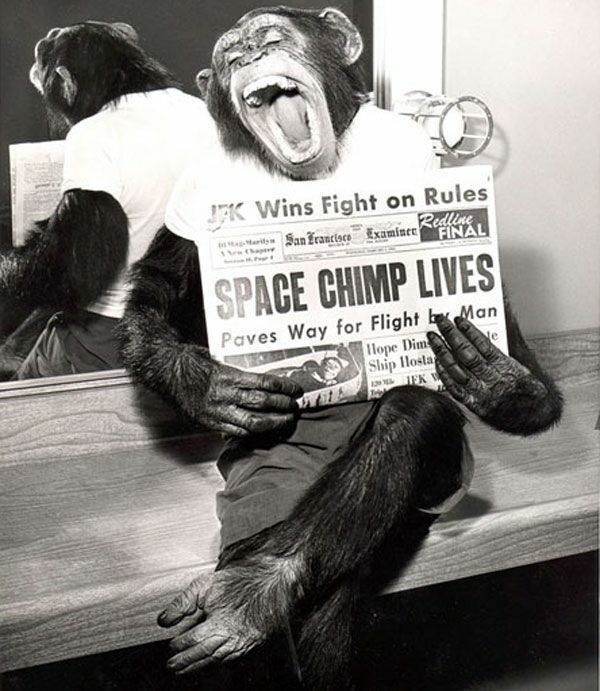 However now, according to TechTimes.com, the spacefaring simians being trained by the Russians are going a step further than the primates of the past. 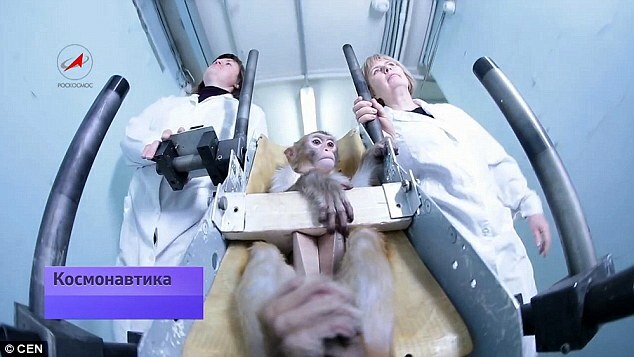 Four rhesus macaques who were specially selected for their cognitive capacities are being trained at the Institute of Biomedical Problems in Moscow, where they are learning to operate joysticks in exchange for rewards of delicious juice. When successful, the monkeys will have manipulated cursors on a screen to hit specific targets. Eventually, simple math equations and puzzles will be added to their mental magnitude, at which point they will be ready to head for the stars. The Russian monkey mission intends to land the creatures on Mars by 2017. It is currently unclear on whether the monkeys will be able to return to Earth, but come on, if it was difficult for Matt Damon, it's probably not going to be a cinch for some simians. Monkeys aren't as wicked smaht as him...will they still survive? Still, the pioneering primates have been hand-selected for their exceptional learning speeds, and could theoretically help highlight the restraints of current long-distance spaceflight technology (as well as other elements of survival) from a useful baseline during their mission, even if that just extends to attempting the trip. "What we are trying to do is to make them as intelligent as possible so we can use them to explore space beyond our orbit," said Dr. Inessa Kozlovskaya, the head of the initiative.